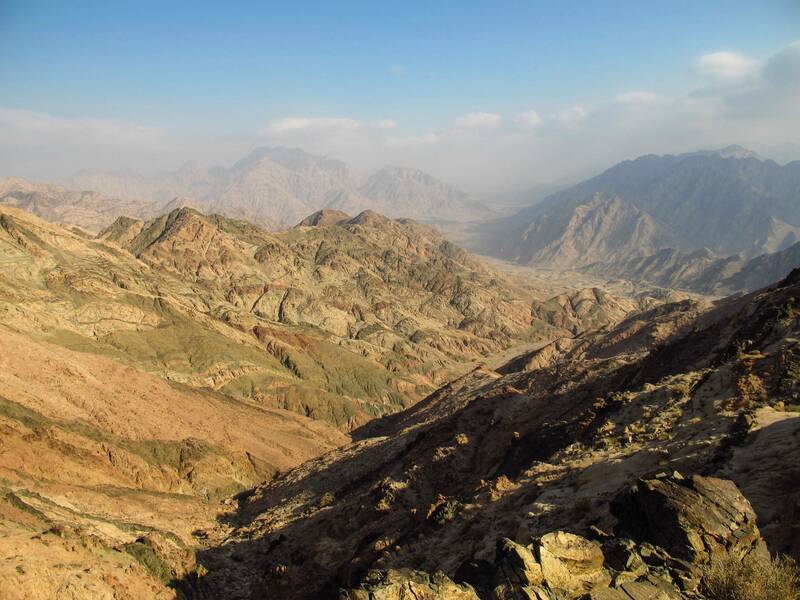 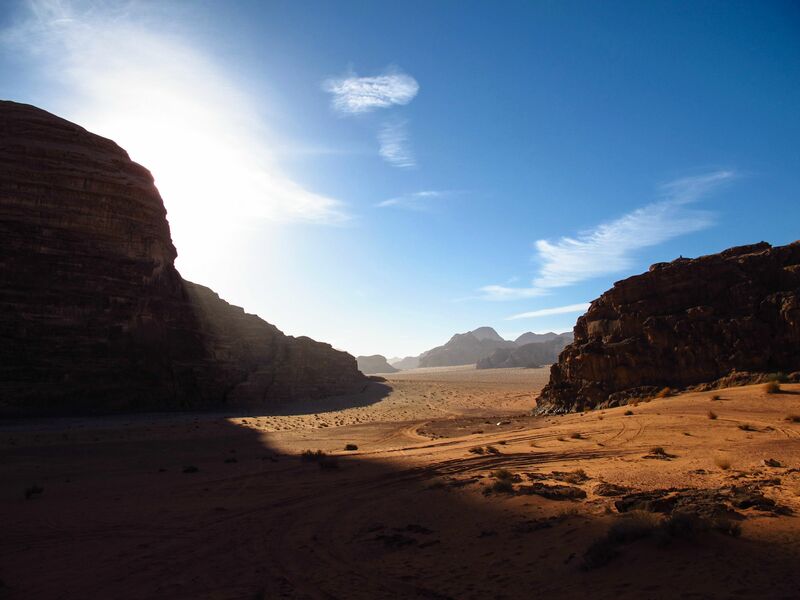 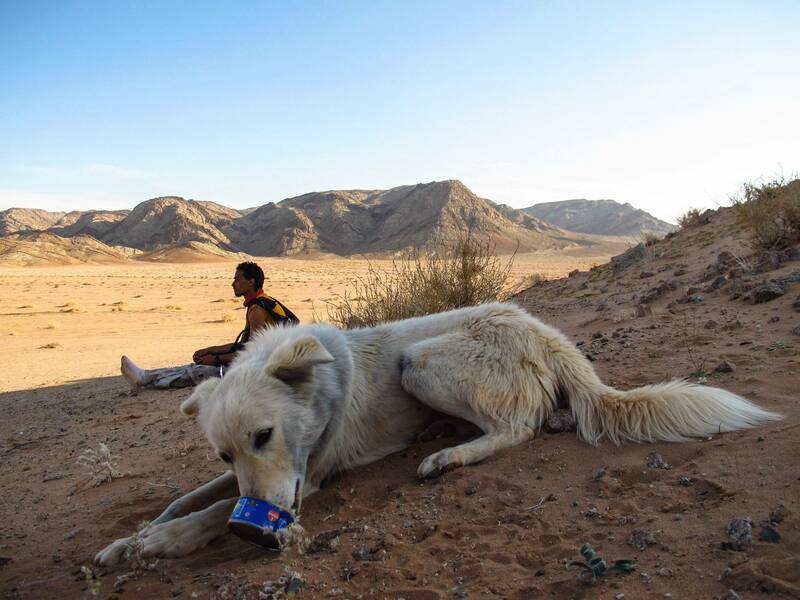 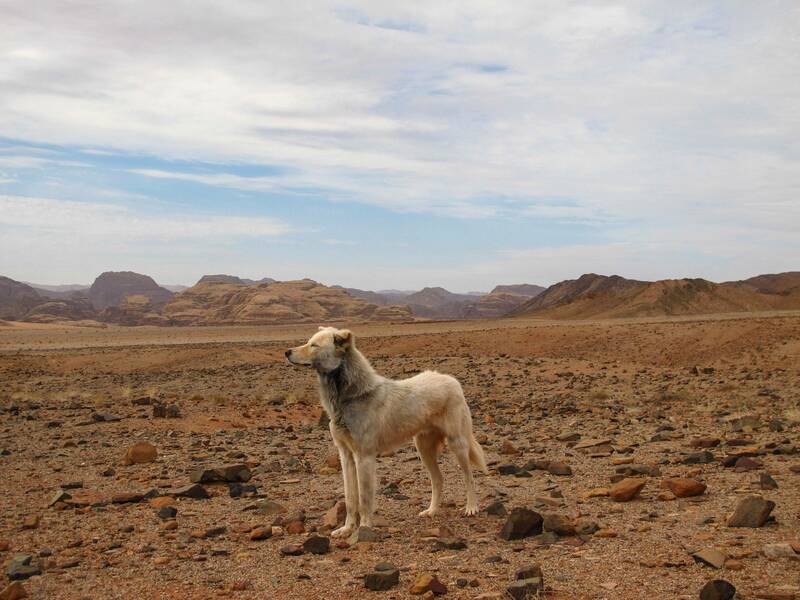 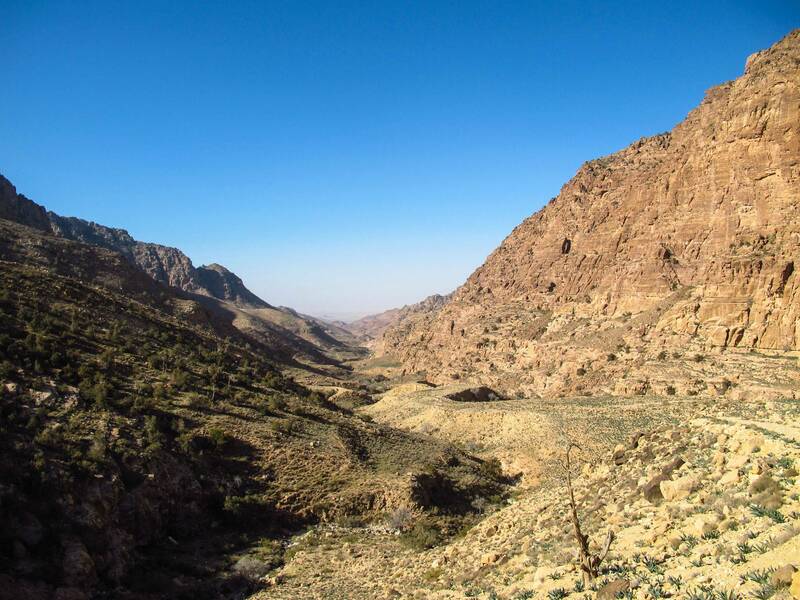 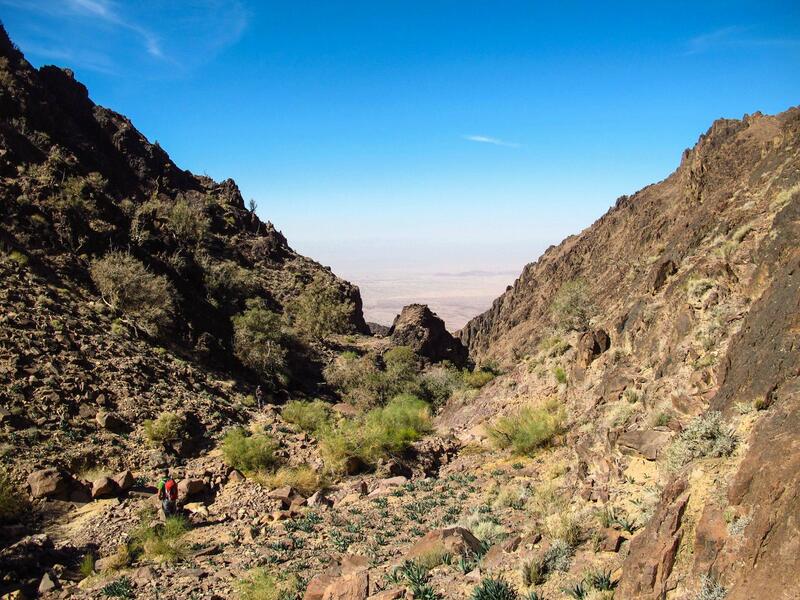 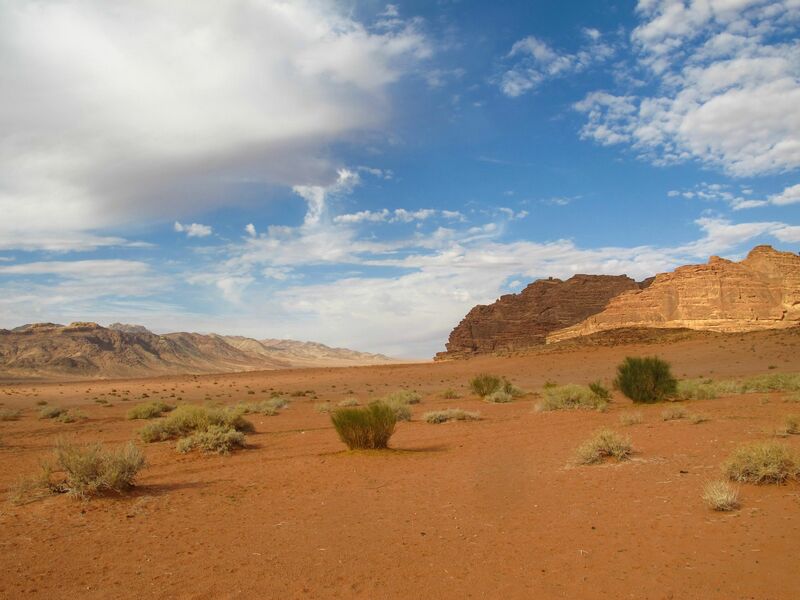 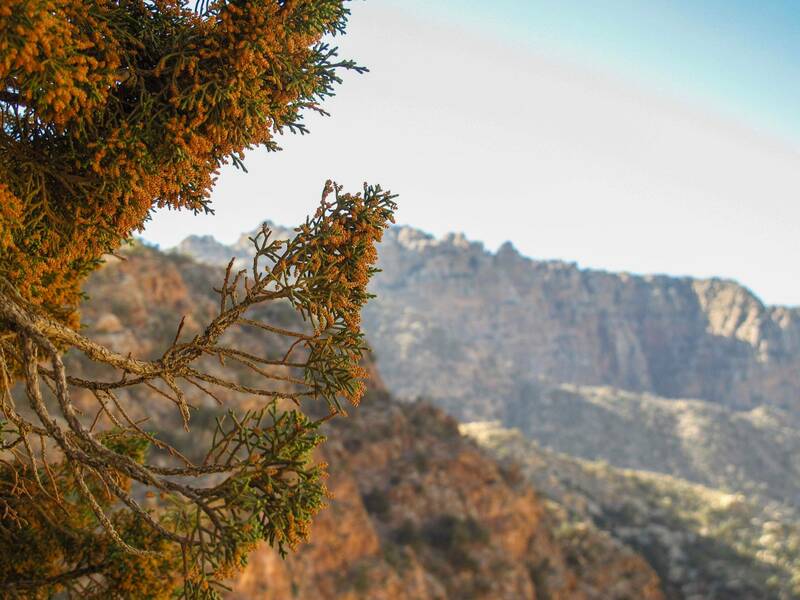 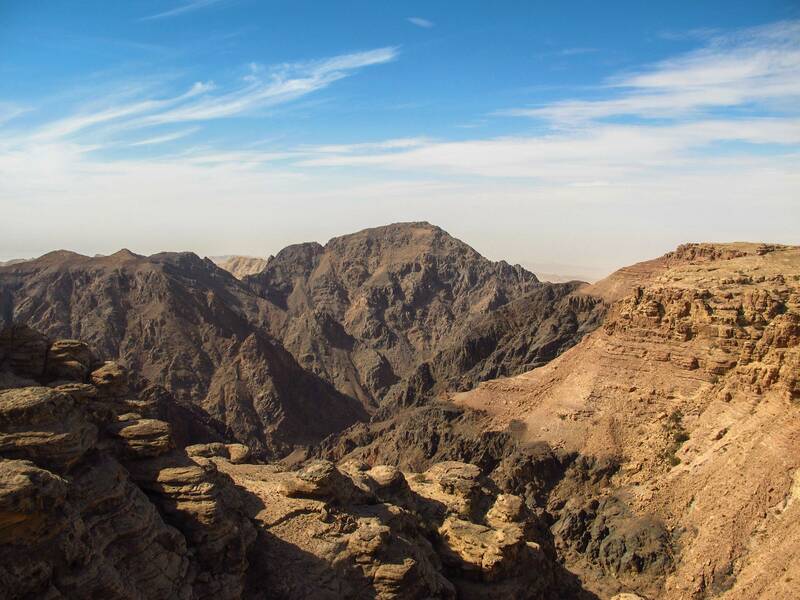 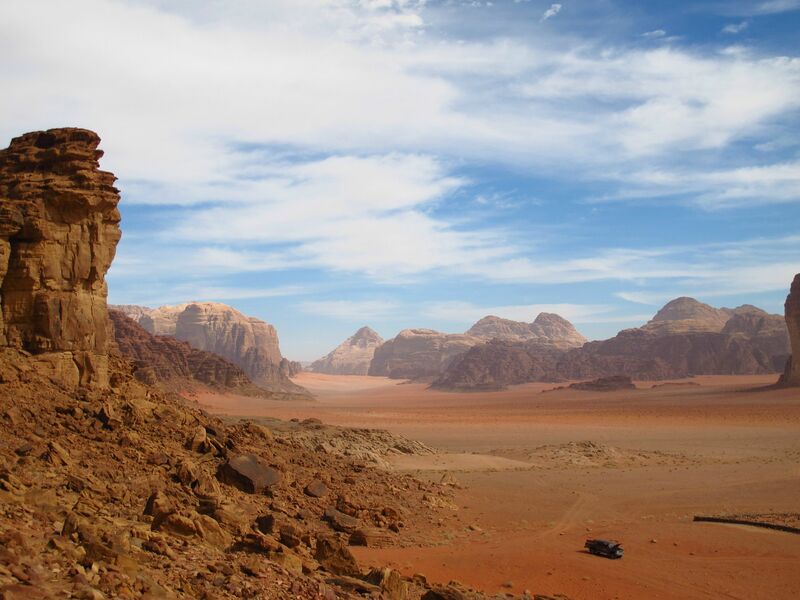 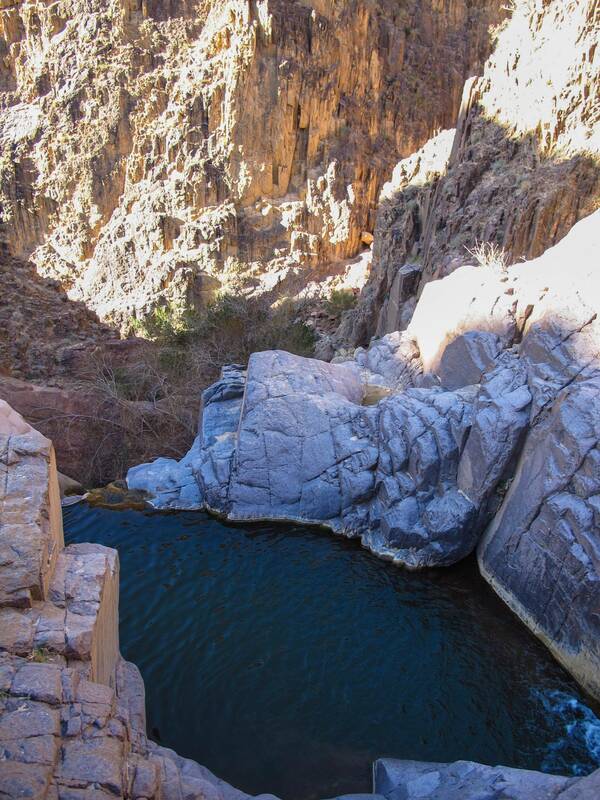 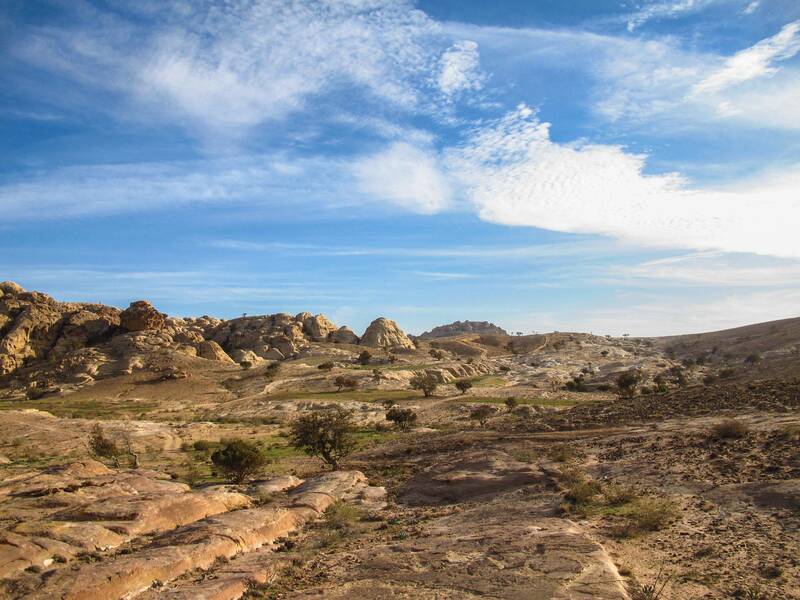 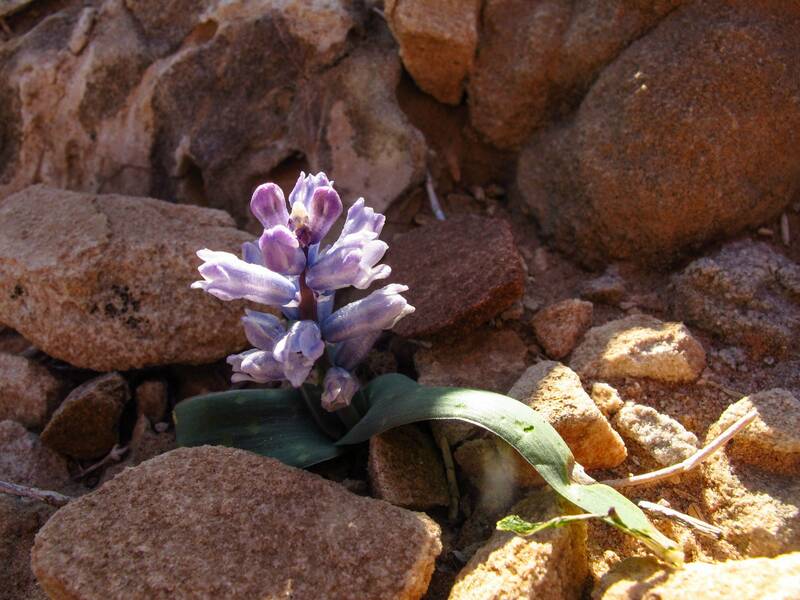 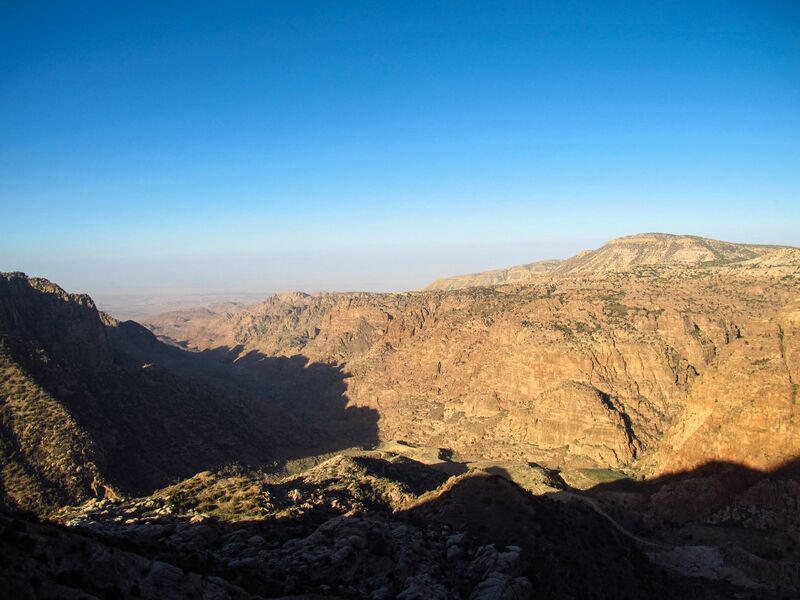 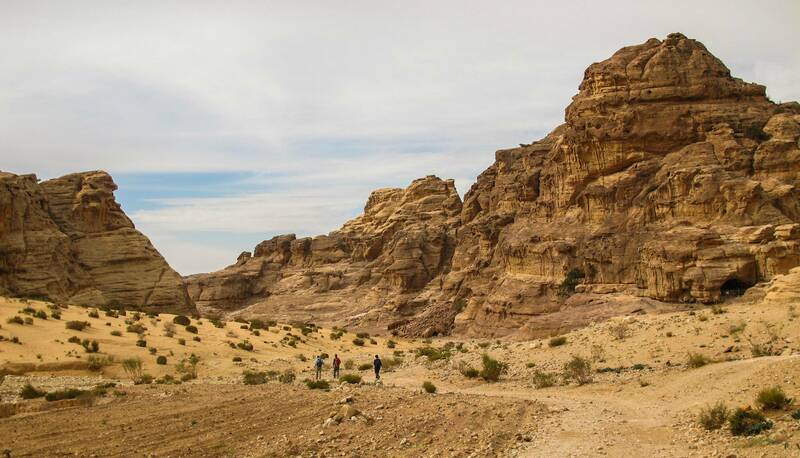 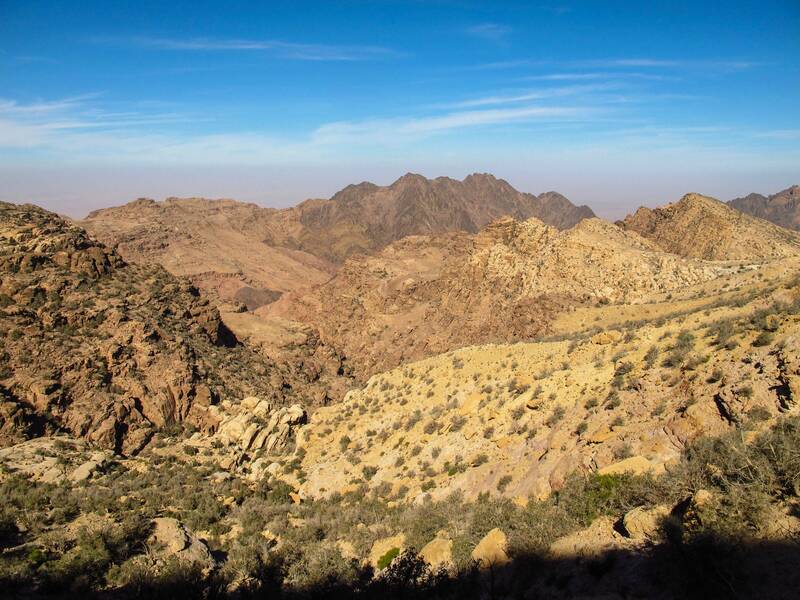 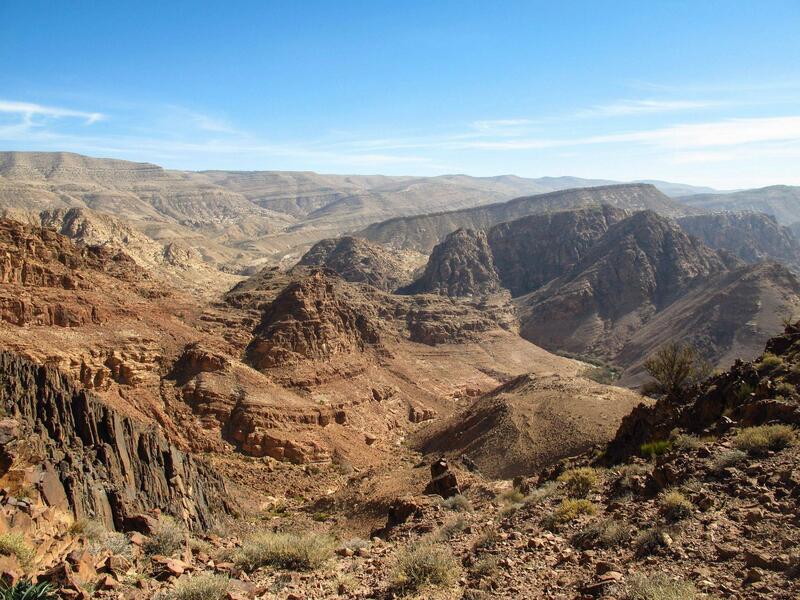 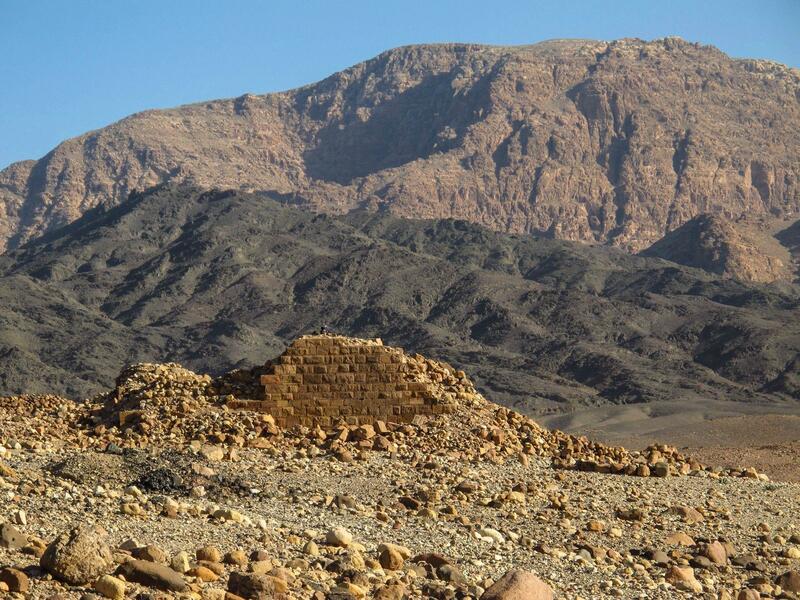 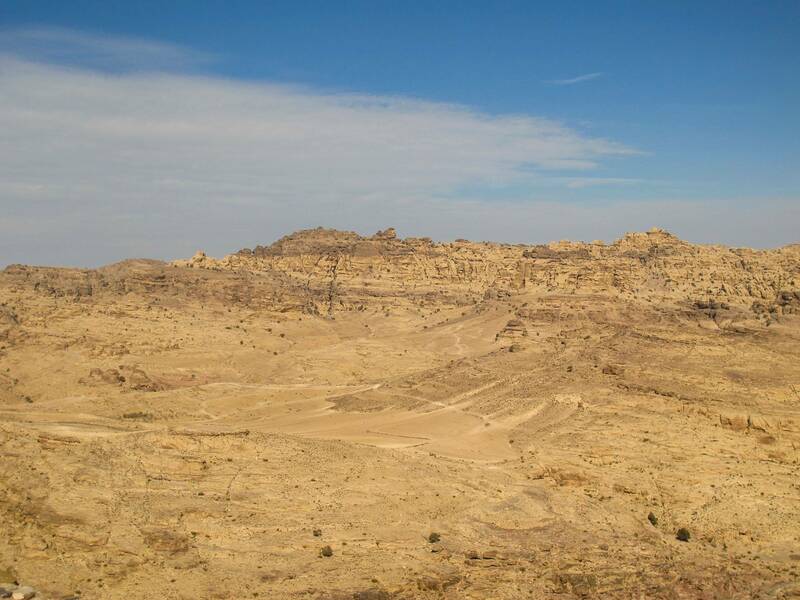 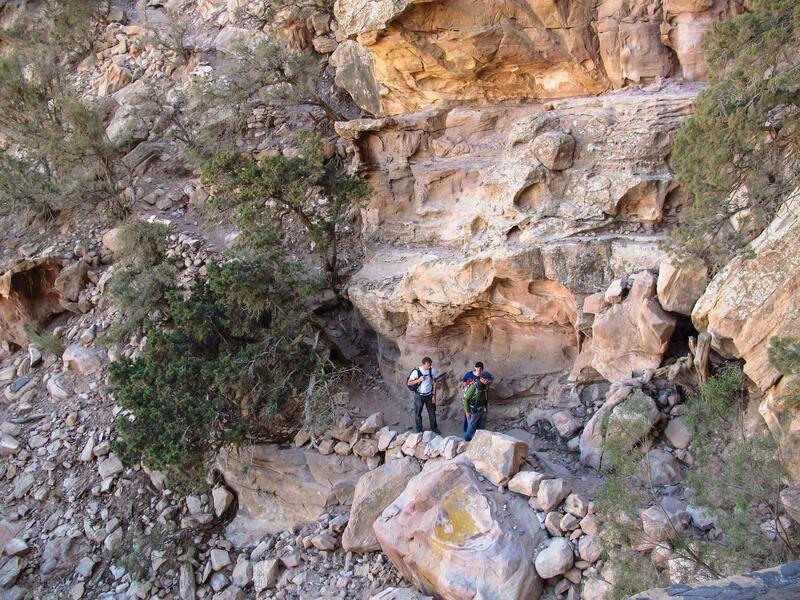 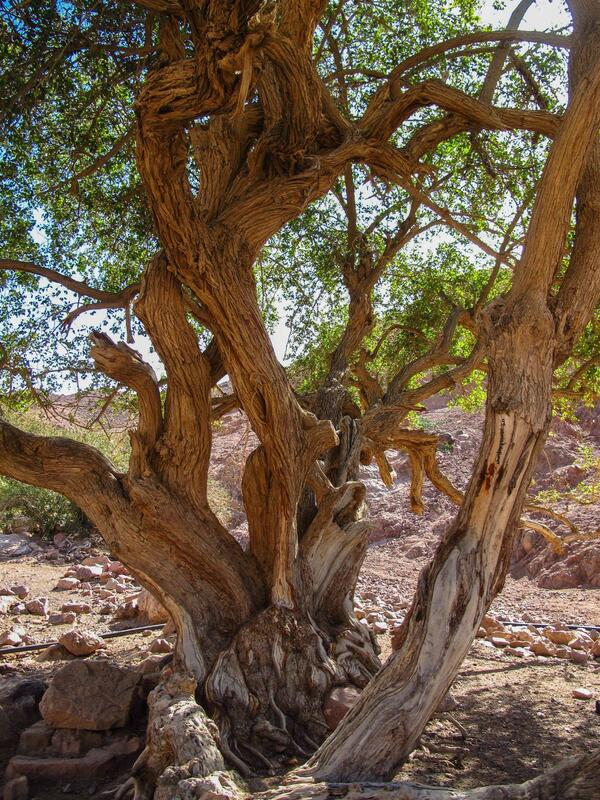 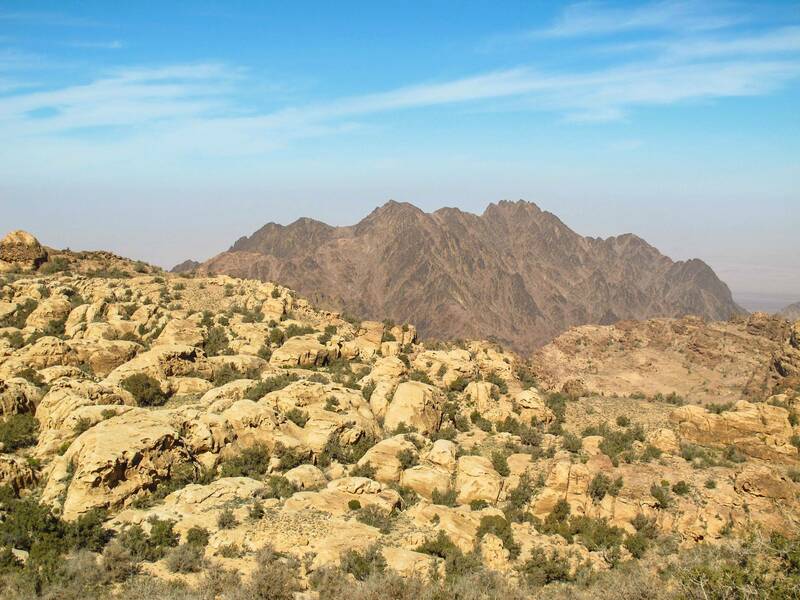 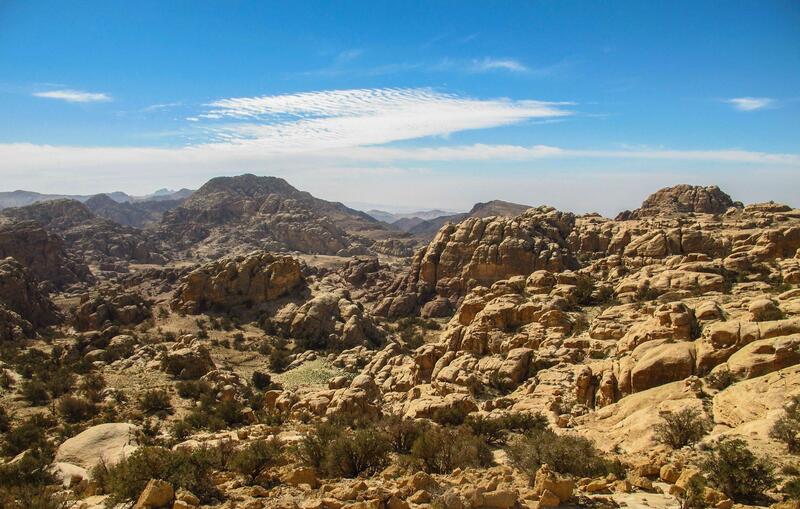 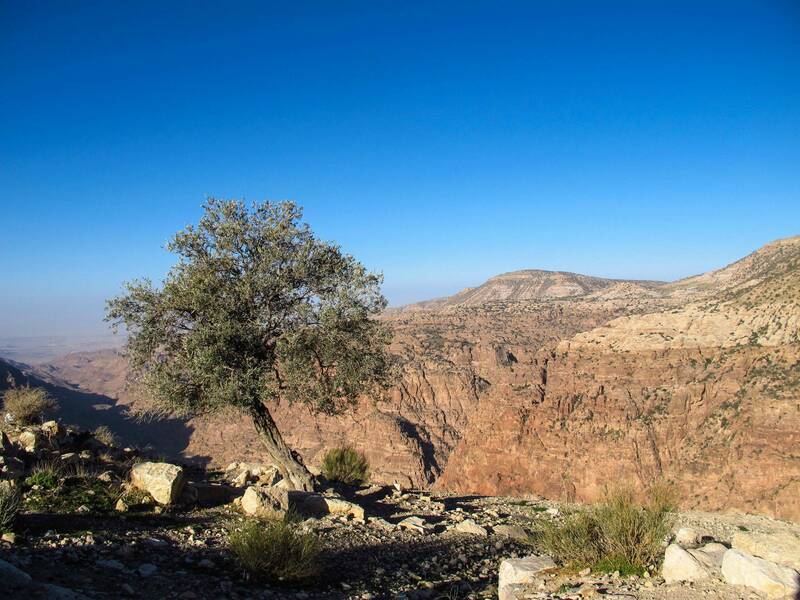 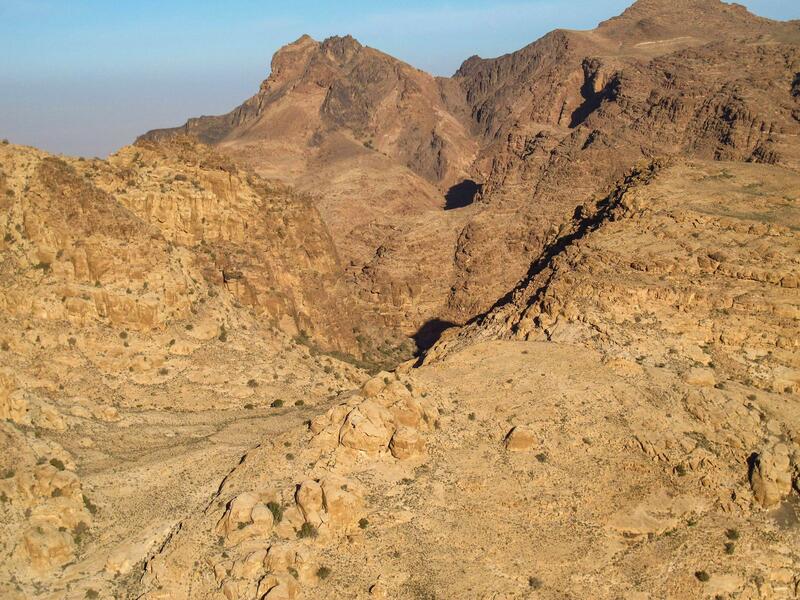 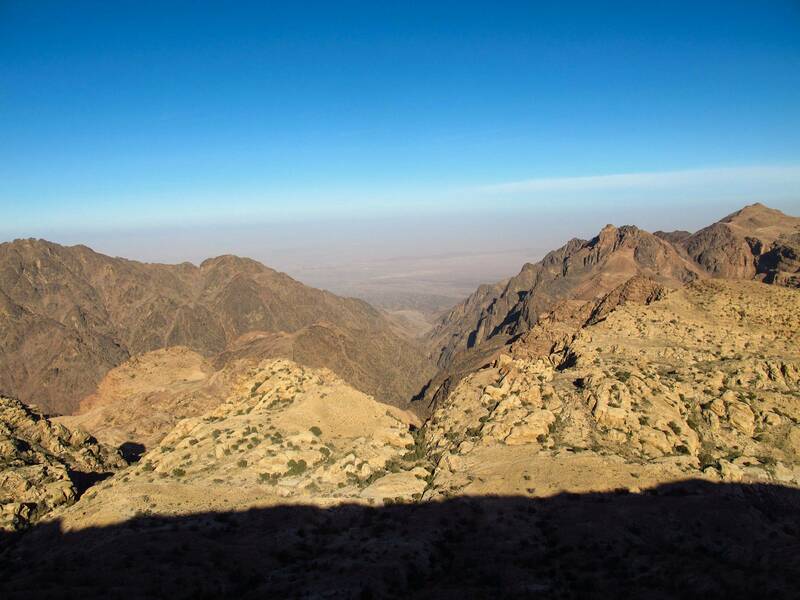 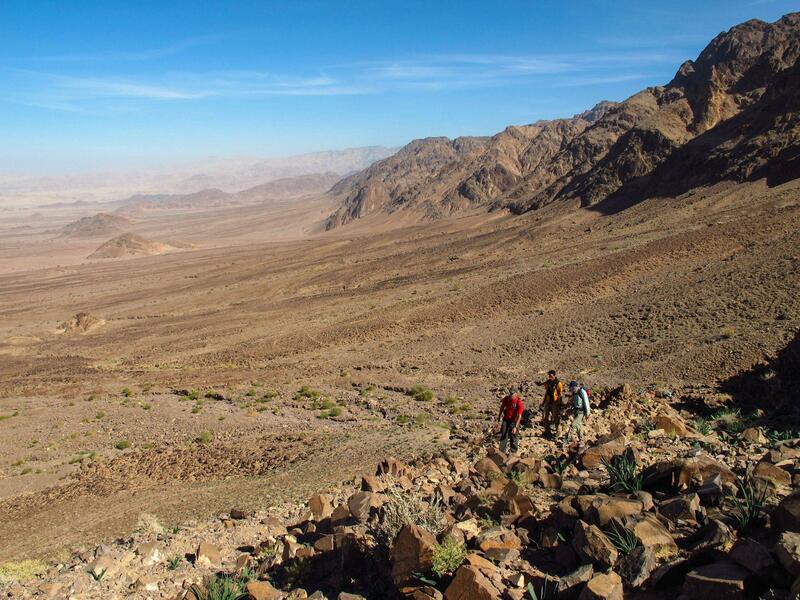 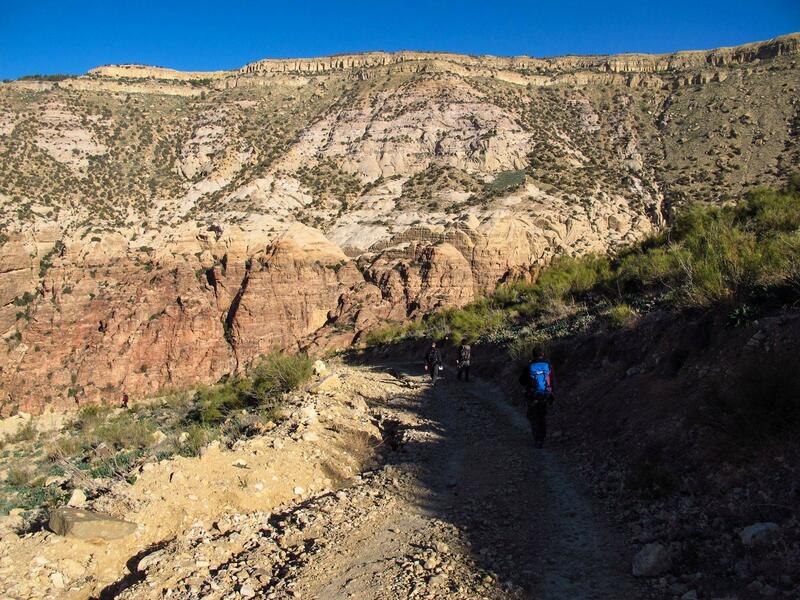 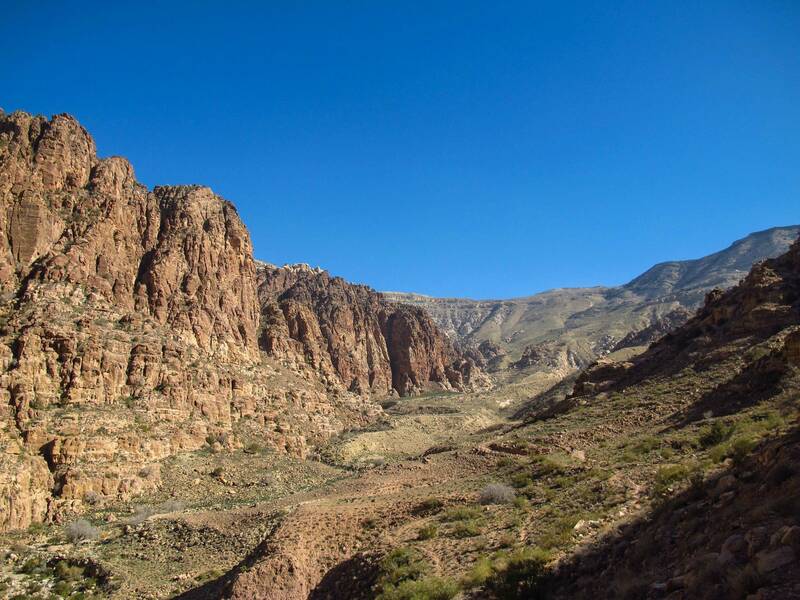 In recent years, Jordan has seen the appearance and rapid growth of a local trekking scene, but it's always drawn a small stream of hikers to explore its small but amazing canyon country. 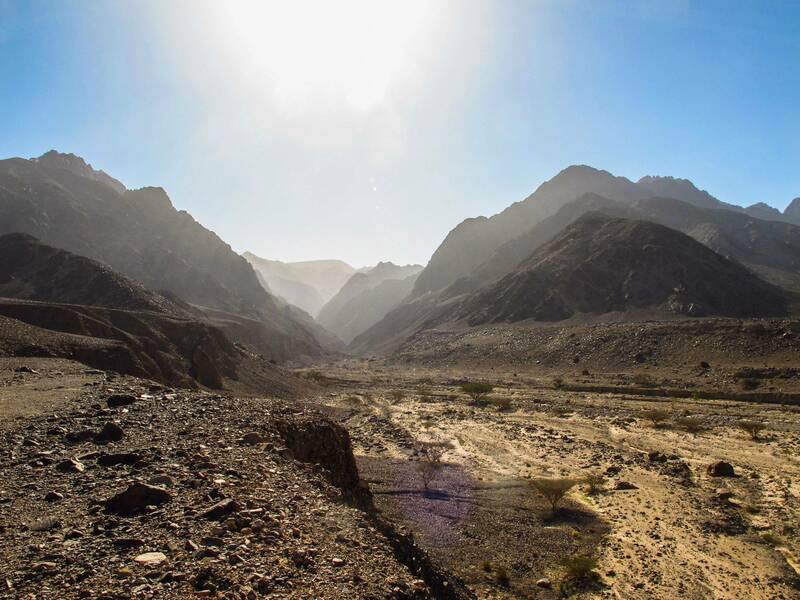 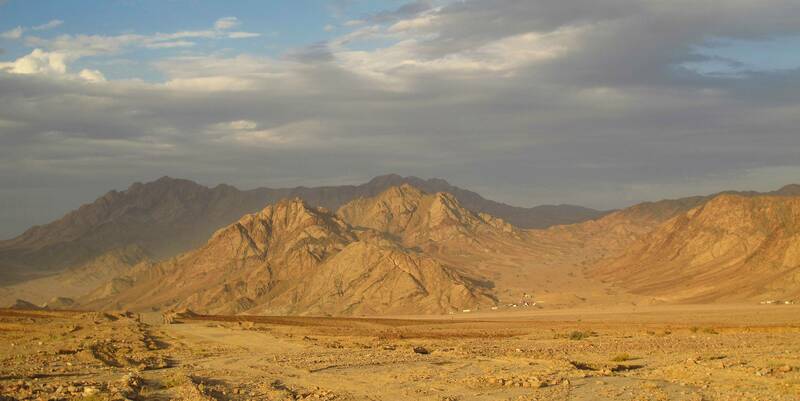 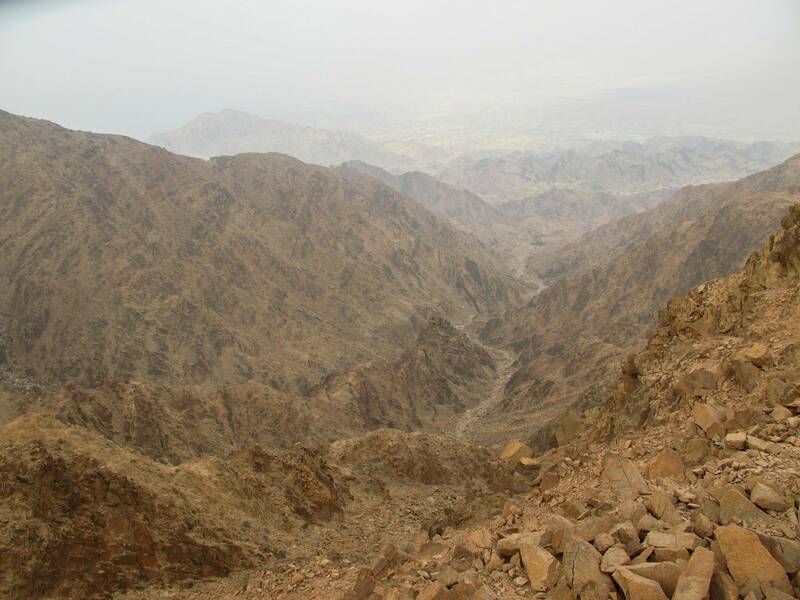 The Dana to Petra route is a classic, for reasons that became obvious to me as soon as the sun rose the morning after our late-night arrival. 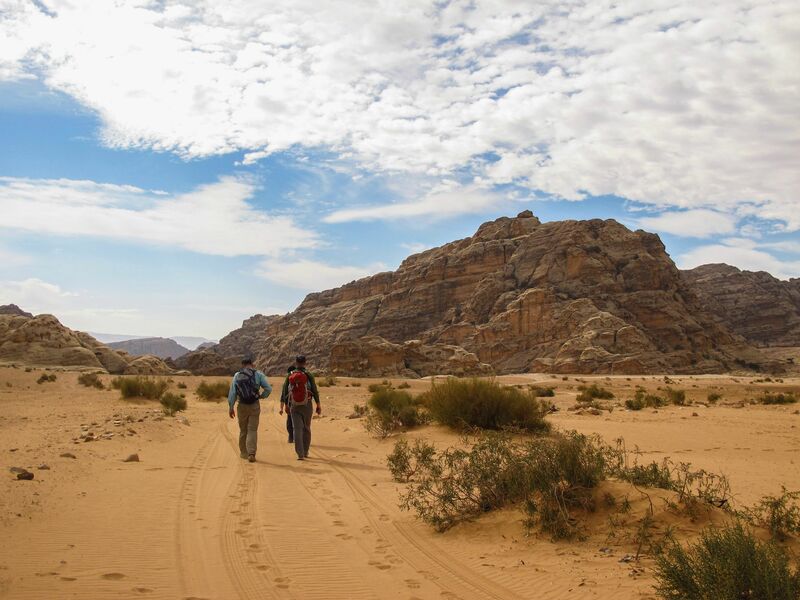 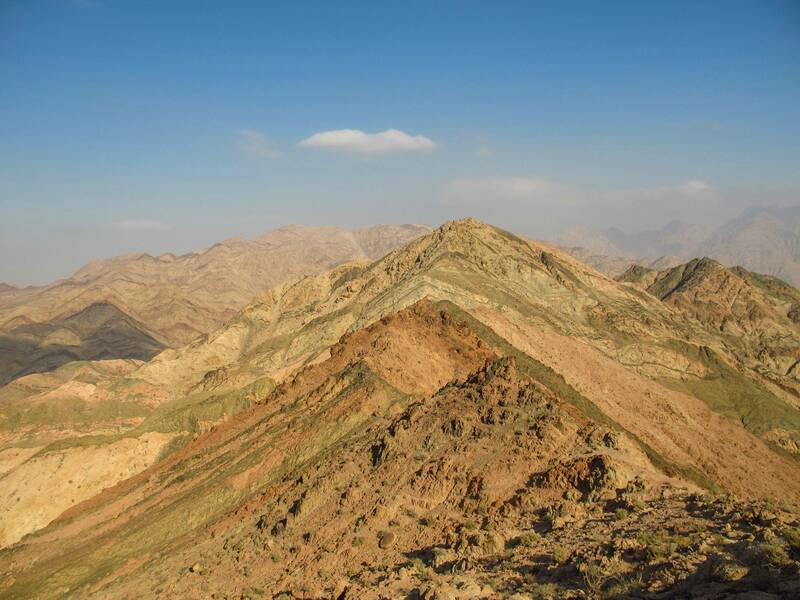 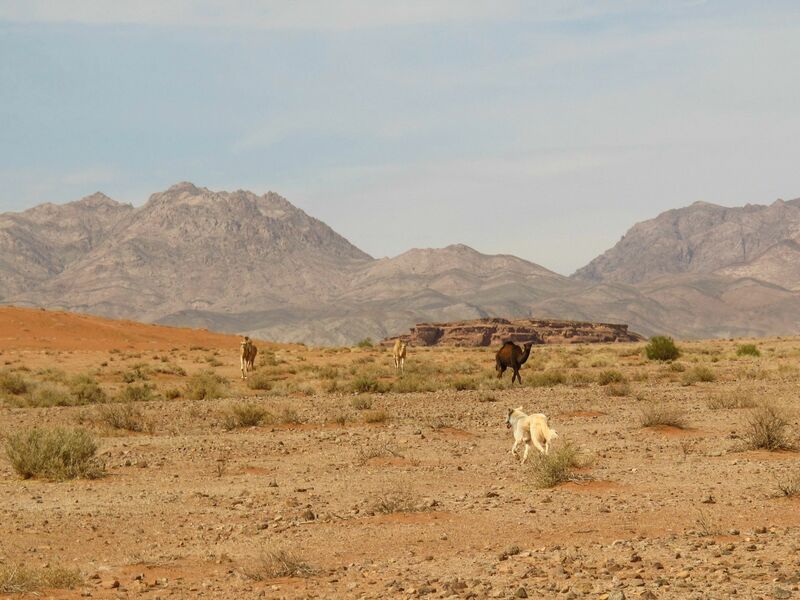 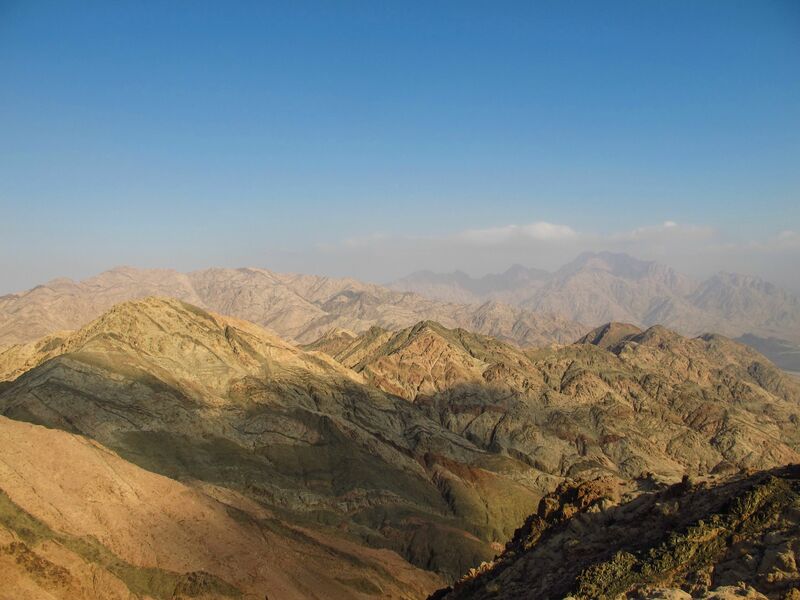 We followed the route as guided by Murad Arslan - without waymarking or an established trail system, the exact routes are open to some variance on each trip. 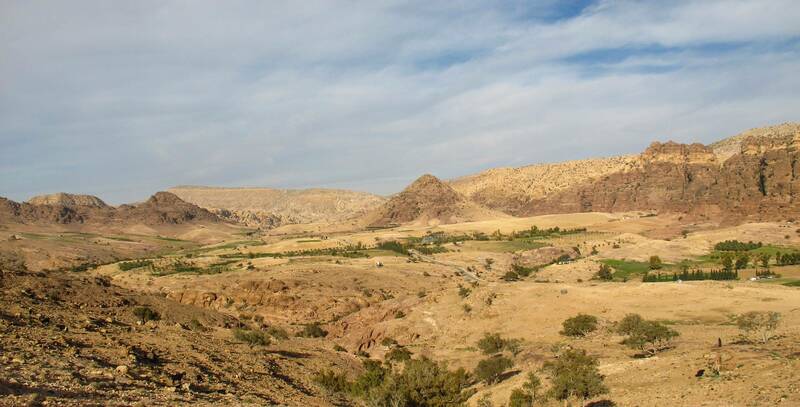 I then put together a map set and put it in the online guidebook as the Dana Region of the Abraham Path. 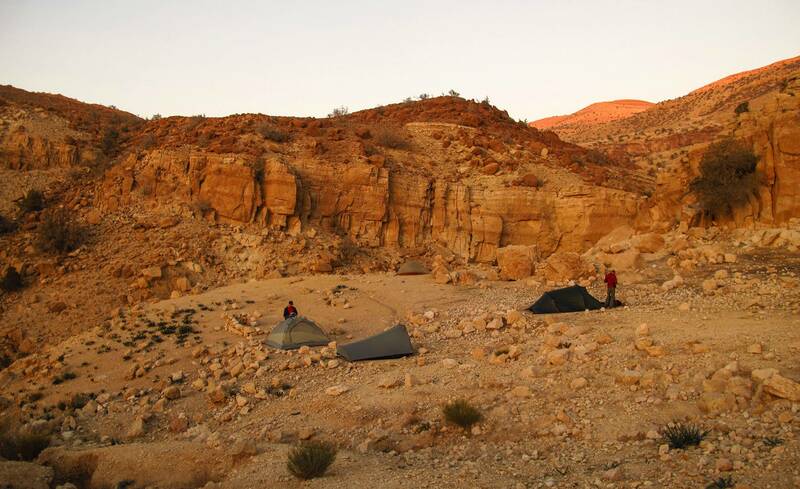 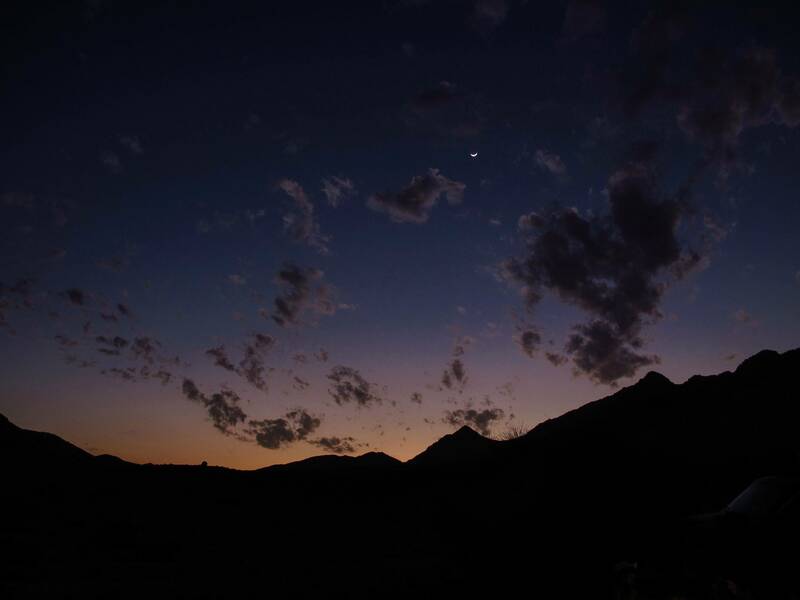 At 4 days, it's a perfect length for many vacations, and packs in plenty of scenery worthy of the American southwest. 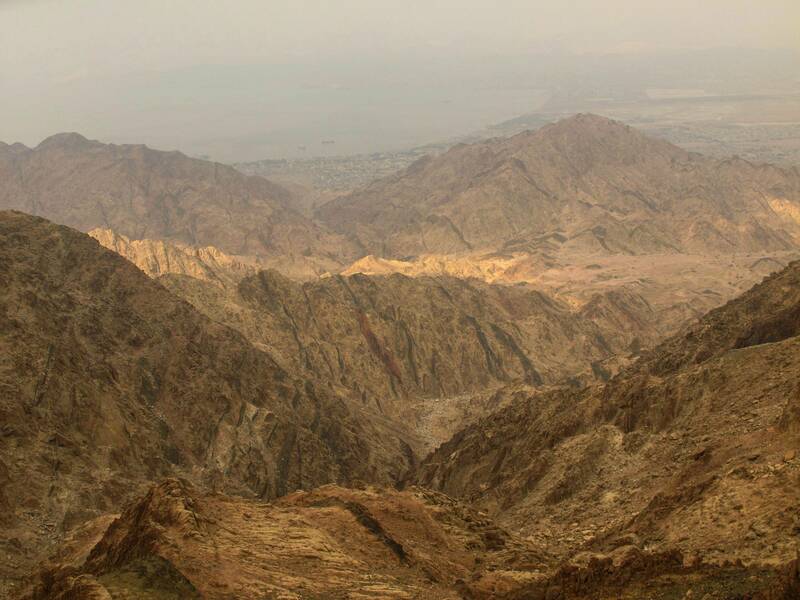 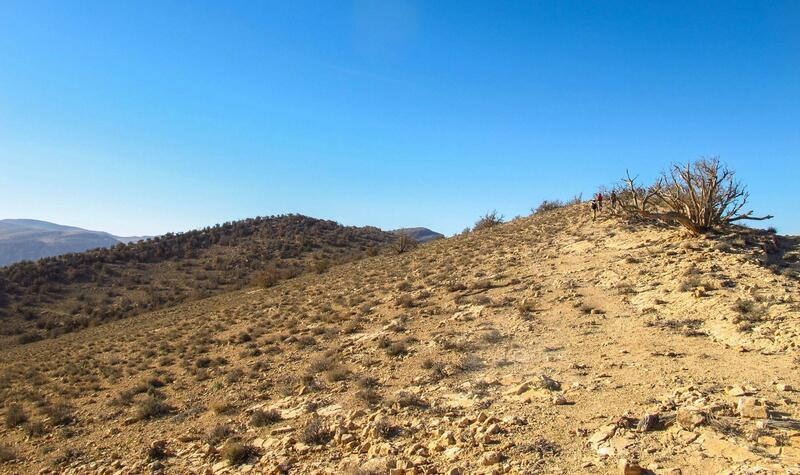 These great heights bring air moisture falling as rain, where it had simply drifted over the lower Negev. 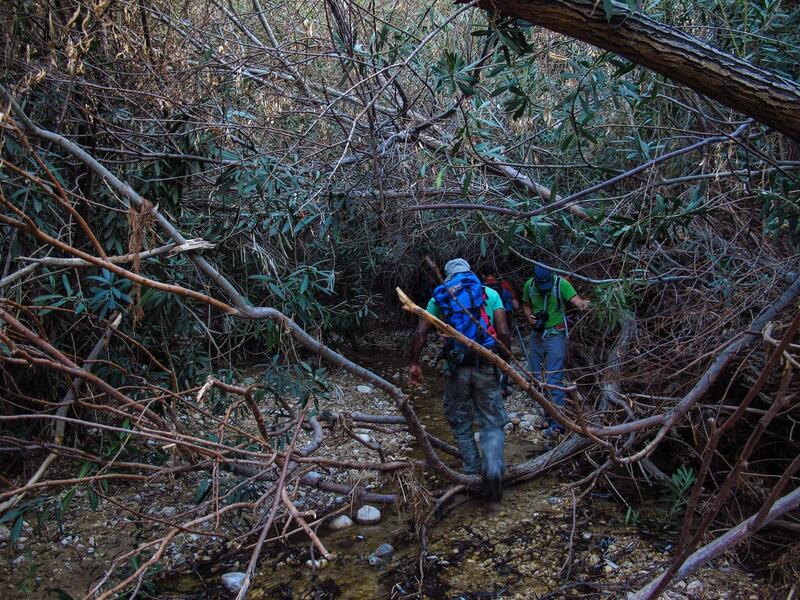 This, and the massive watershed that drains into the eastern edge of the Rift, mean canyons as forbidding and evil-looking as this one actually run with water, and contain thickets and woods! 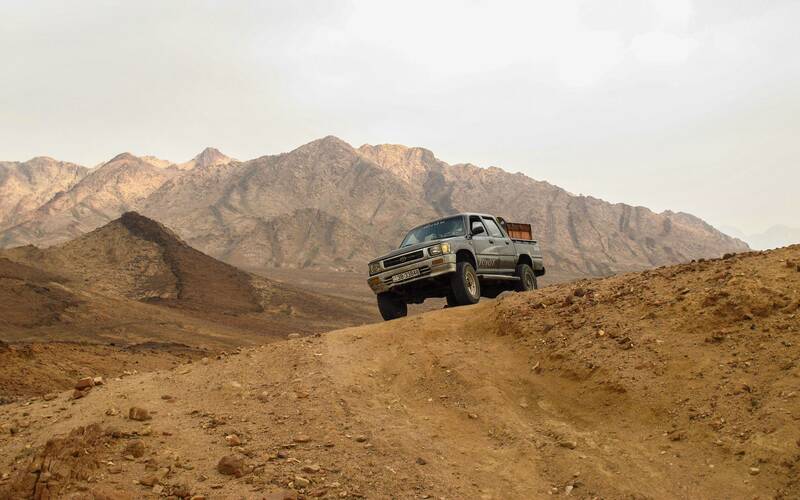 Navigationally, it's a difficult route. 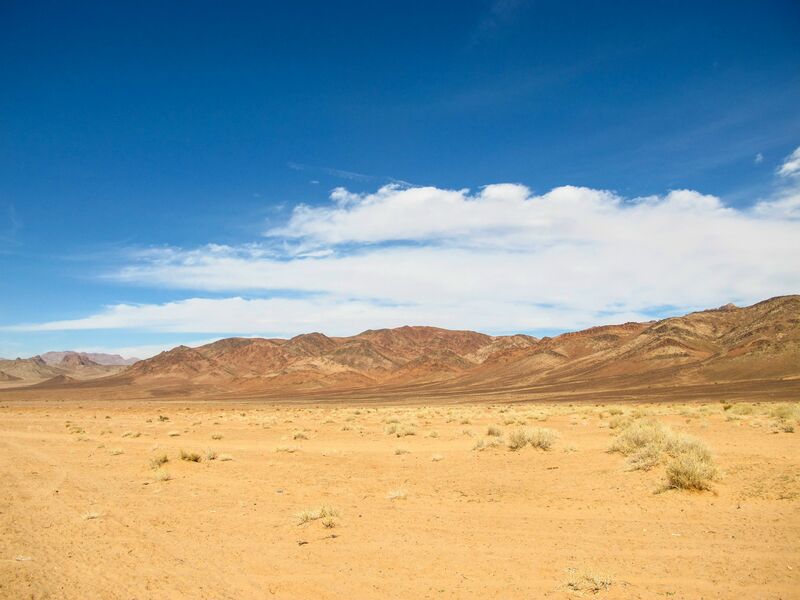 GaiaGPS apps on smartphones helped. 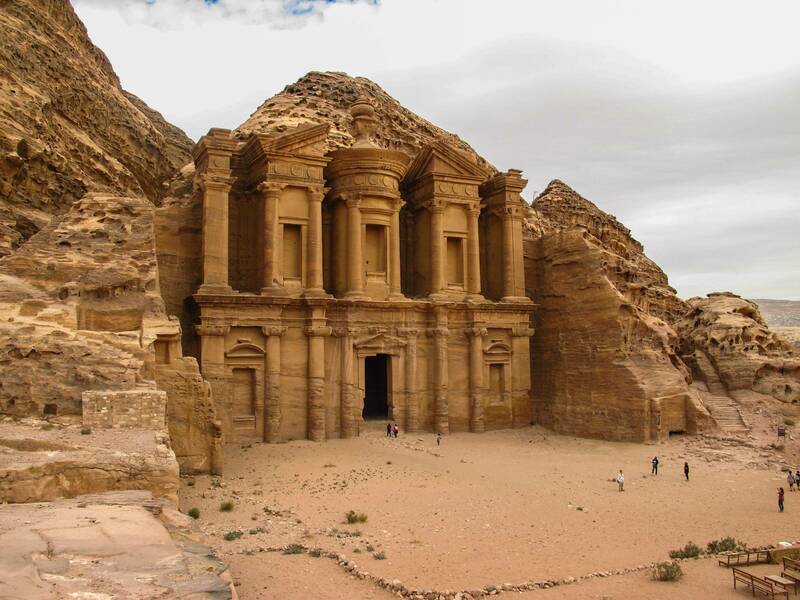 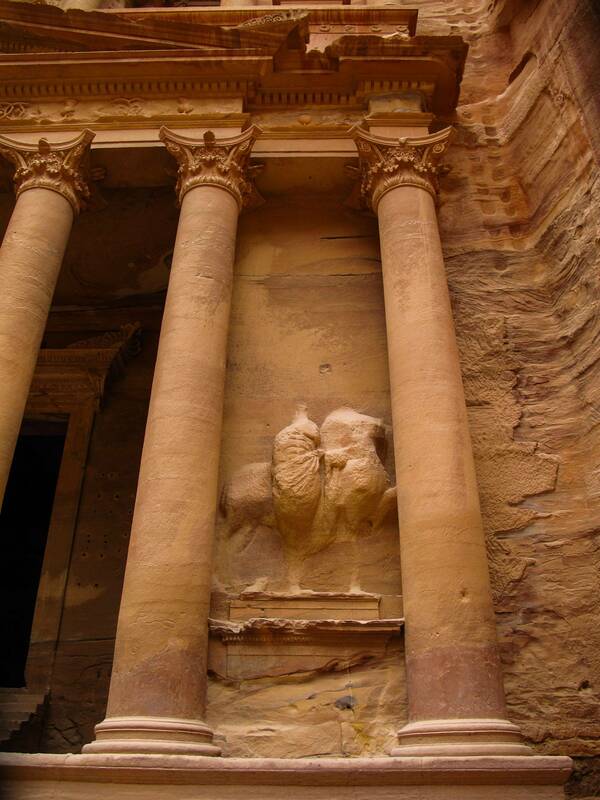 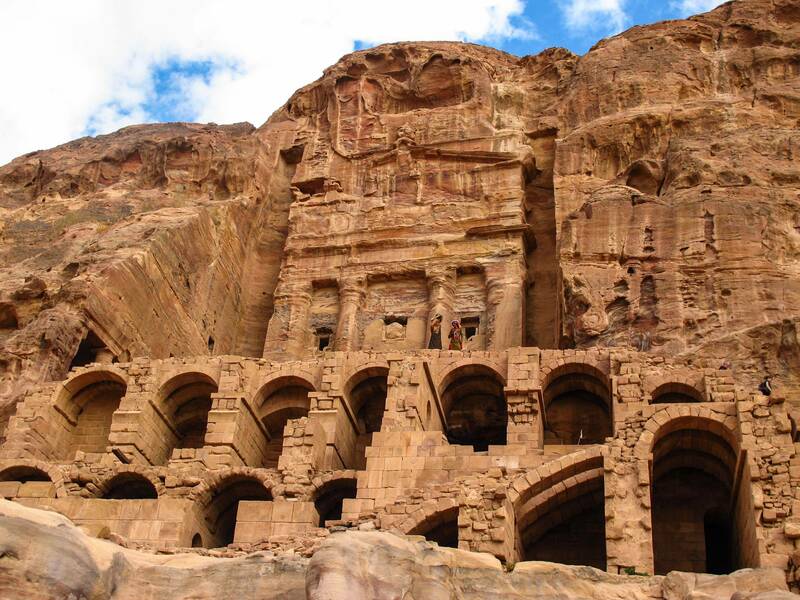 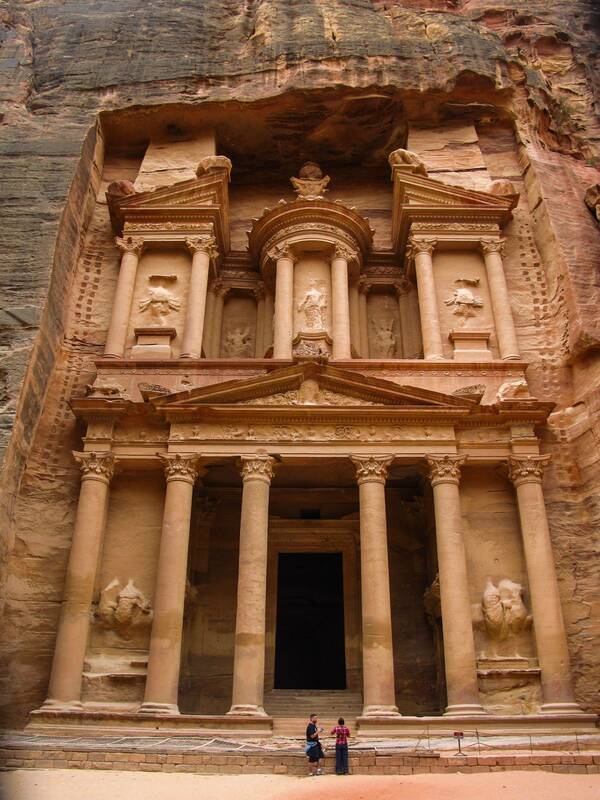 The Monastery, one of the elaborate Nabatean tomb facades that gives Petra its reputation. 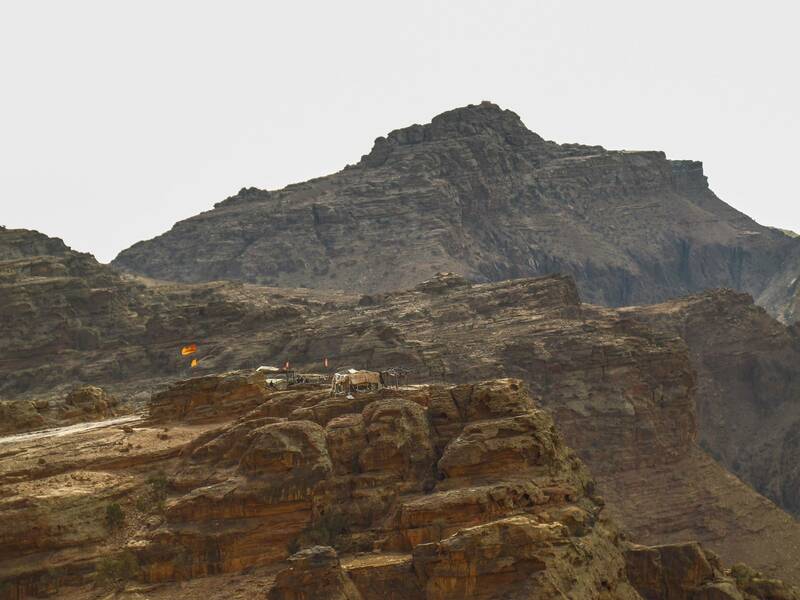 Minutes after I left this spot to head down into Petra, my co-hikers caught a video of a Bedouin boy climbing up the central spire of this one, risking death to look like a boss for nobody in particular. 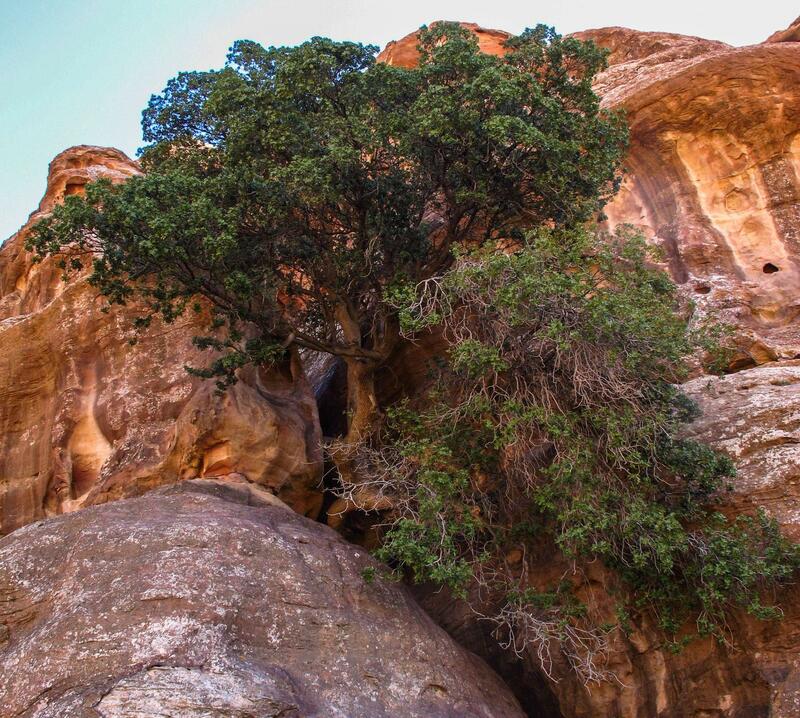 Below, his brother proudly explained that he'd taught the kid how to climb like that, and opined, "Crazy is better than lazy!"